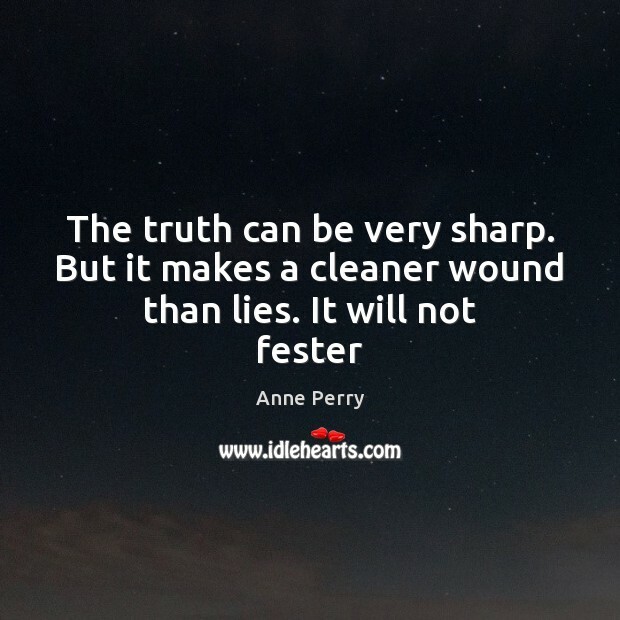 Enjoy the best inspirational, motivational, positive, funny and famous quotes by Anne Perry. Use words and picture quotations to push forward and inspire you keep going in life! Maybe right and wrong did not move, but understanding of them did. 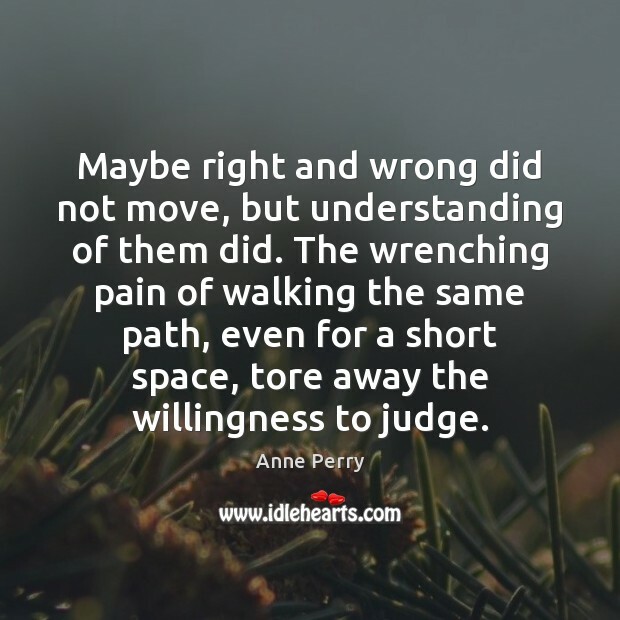 The wrenching pain of walking the same path, even for a short space, tore away the willingness to judge. The mountains are so beautiful they make me ache inside because the moment I look away I know I shall need to see them again. And I cannot spend the rest of my life standing on the spot starting at shifting sunlight and mist and shadows across the sea. 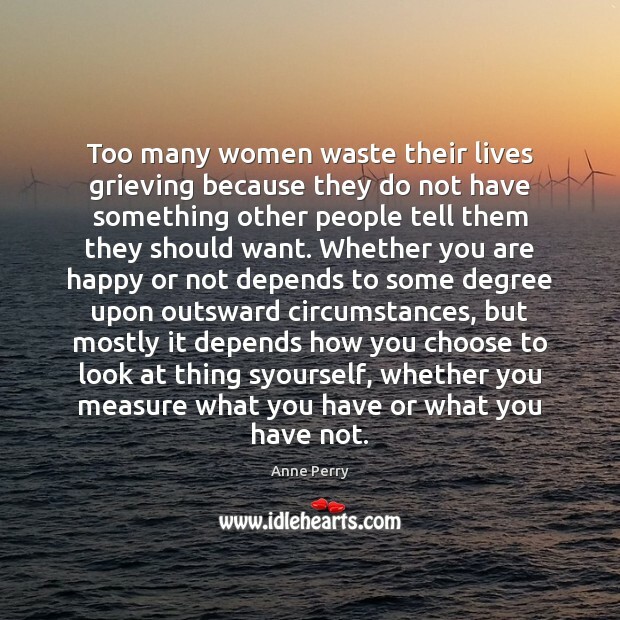 Too many women waste their lives grieving because they do not have something other people tell them they should want. Whether you are happy or not depends to some degree upon outsward circumstances, but mostly it depends how you choose to look at thing syourself, whether you measure what you have or what you have not. 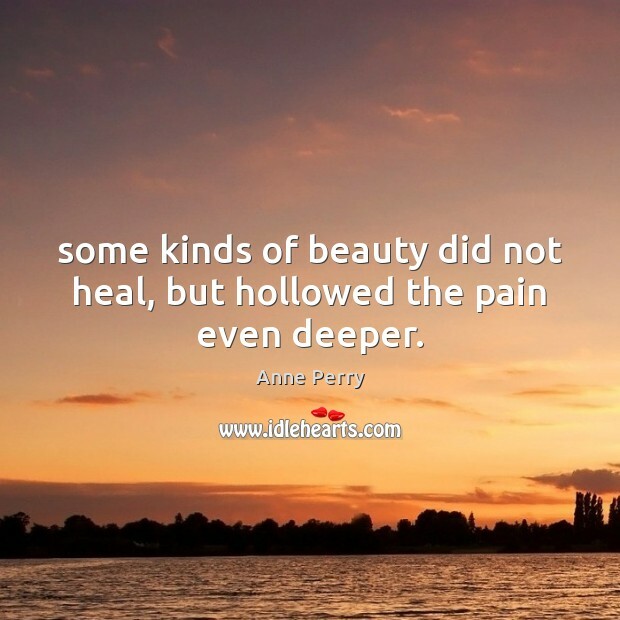 some kinds of beauty did not heal, but hollowed the pain even deeper. 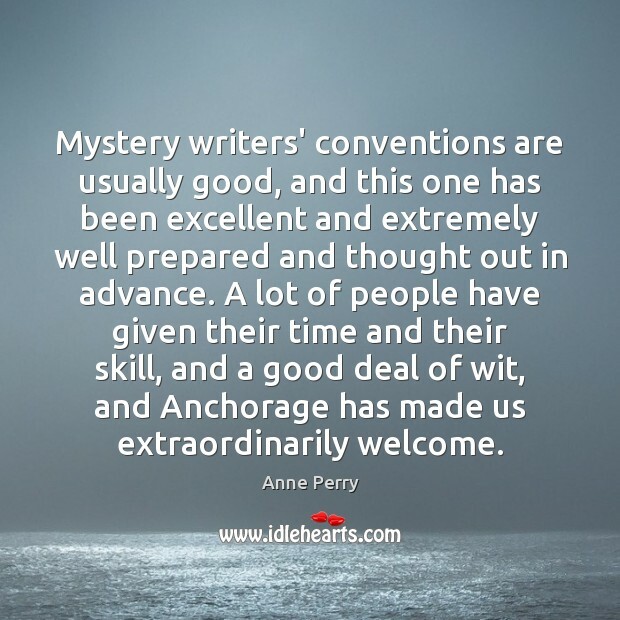 Mystery writers' conventions are usually good, and this one has been excellent and extremely well prepared and thought out in advance. A lot of people have given their time and their skill, and a good deal of wit, and Anchorage has made us extraordinarily welcome. I think it's a terrible thing to write and not enjoy it. It's a sad thing. But of course a lot of people do work because they need to eat. 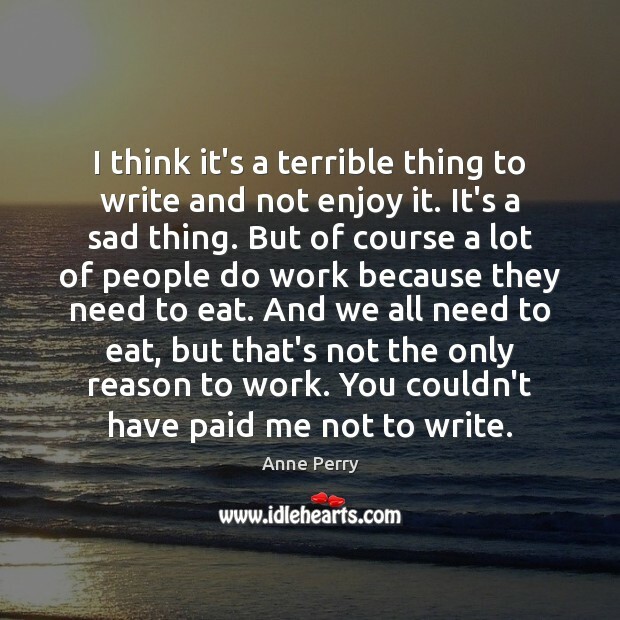 And we all need to eat, but that's not the only reason to work. You couldn't have paid me not to write. 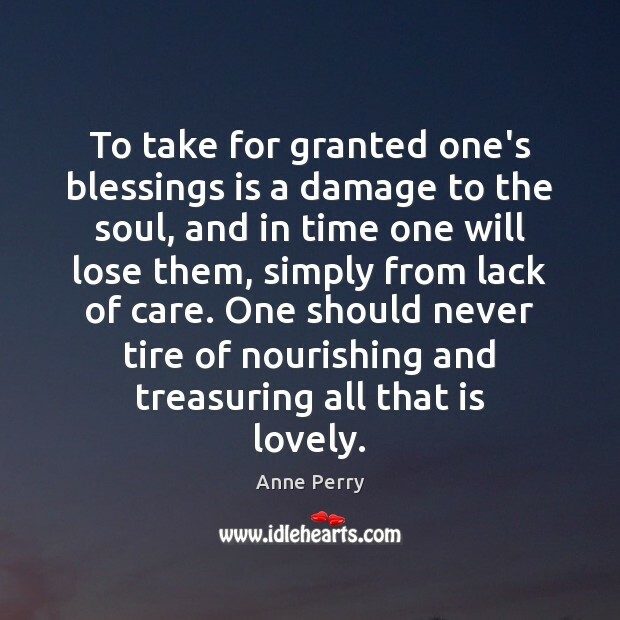 To take for granted one's blessings is a damage to the soul, and in time one will lose them, simply from lack of care. One should never tire of nourishing and treasuring all that is lovely. 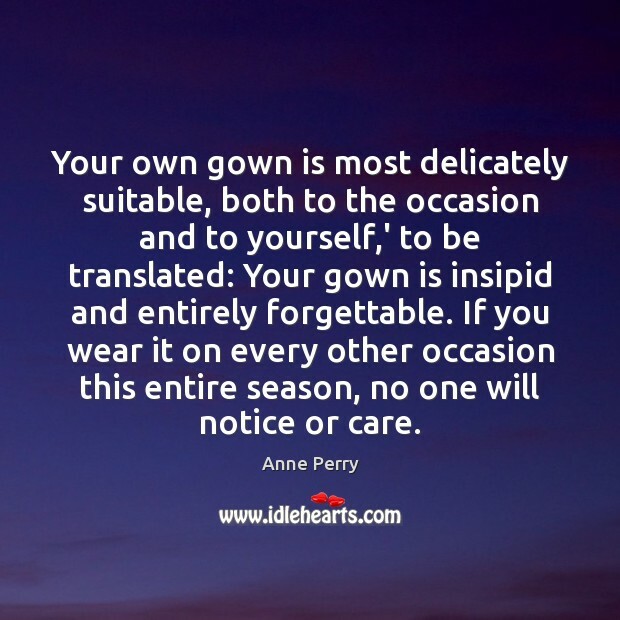 Your own gown is most delicately suitable, both to the occasion and to yourself,' to be translated: Your gown is insipid and entirely forgettable. If you wear it on every other occasion this entire season, no one will notice or care. 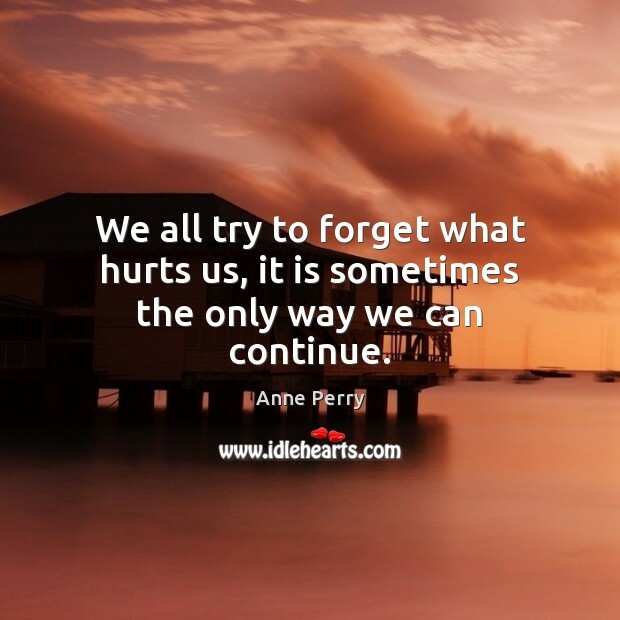 We all try to forget what hurts us, it is sometimes the only way we can continue. 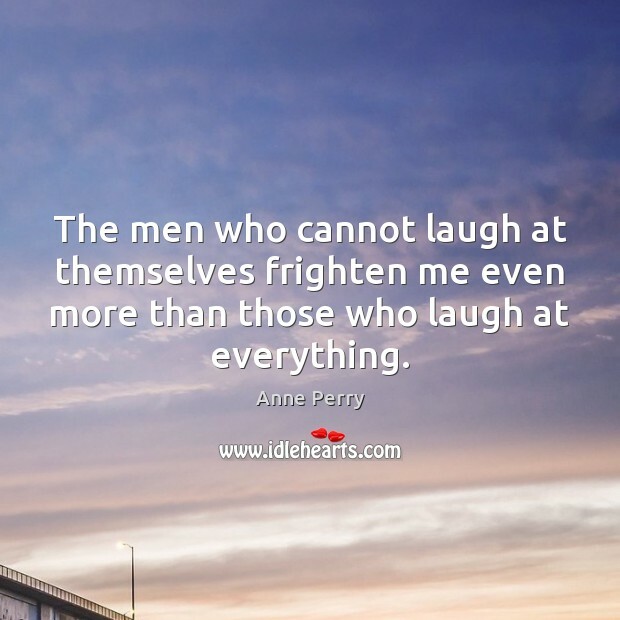 The men who cannot laugh at themselves frighten me even more than those who laugh at everything. I believe in an individual soul which travels through eternity. 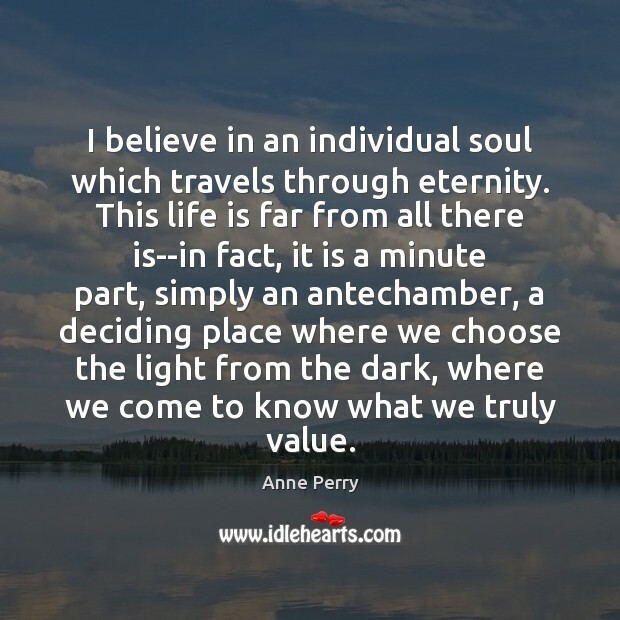 This life is far from all there is--in fact, it is a minute part, simply an antechamber, a deciding place where we choose the light from the dark, where we come to know what we truly value. 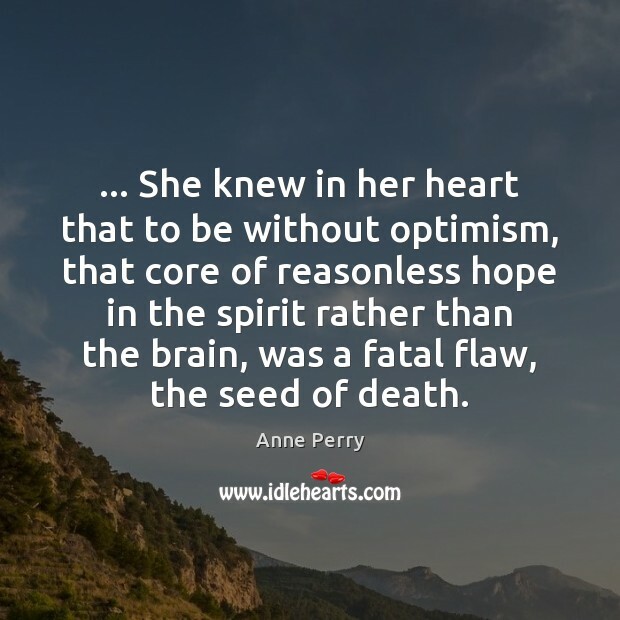 ... She knew in her heart that to be without optimism, that core of reasonless hope in the spirit rather than the brain, was a fatal flaw, the seed of death. 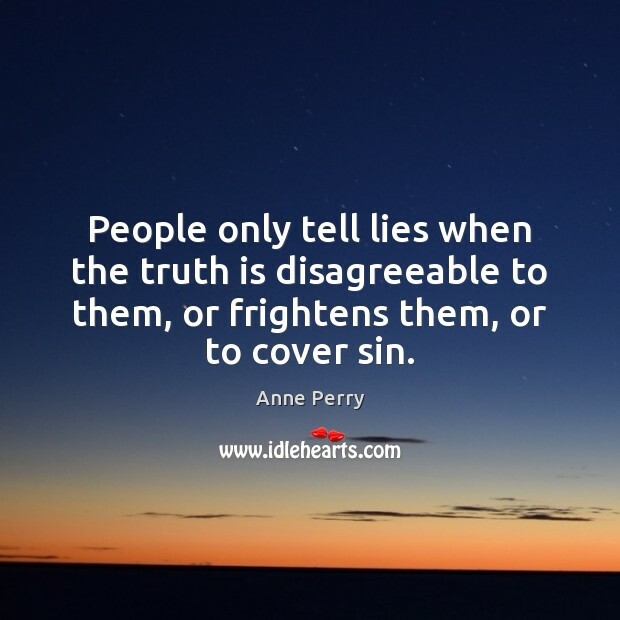 People only tell lies when the truth is disagreeable to them, or frightens them, or to cover sin. 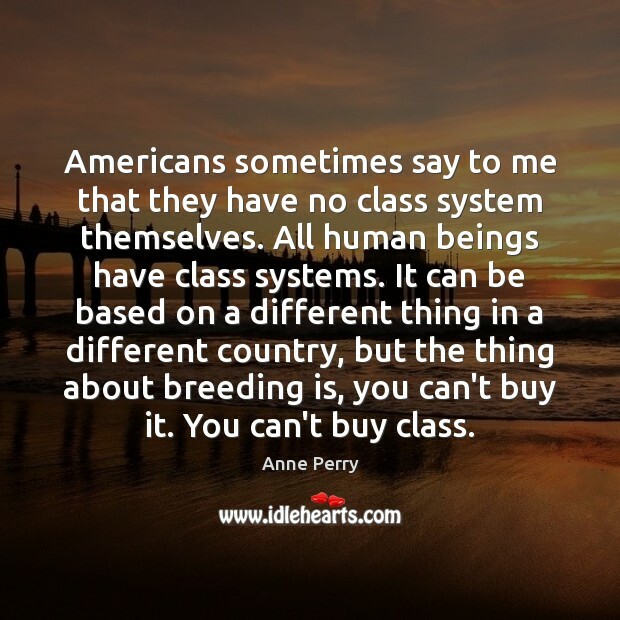 Americans sometimes say to me that they have no class system themselves. All human beings have class systems. It can be based on a different thing in a different country, but the thing about breeding is, you can't buy it. You can't buy class. 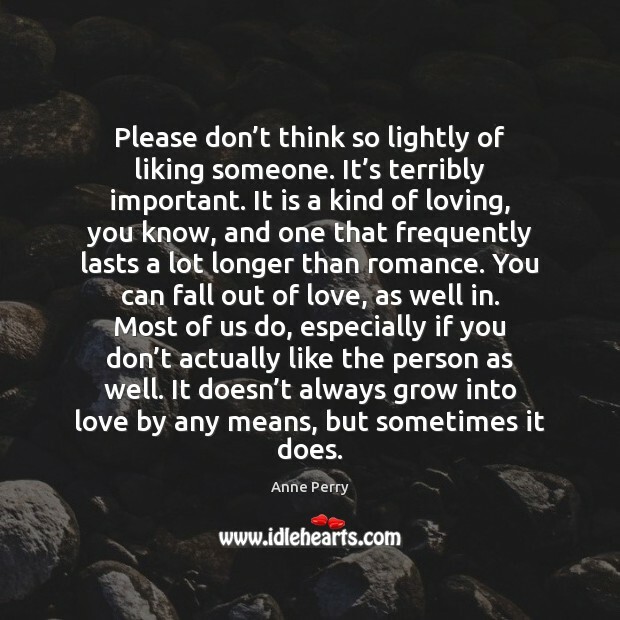 Please don’t think so lightly of liking someone. It’s terribly important. It is a kind of loving, you know, and one that frequently lasts a lot longer than romance. You can fall out of love, as well in. Most of us do, especially if you don’t actually like the person as well. It doesn’t always grow into love by any means, but sometimes it does. 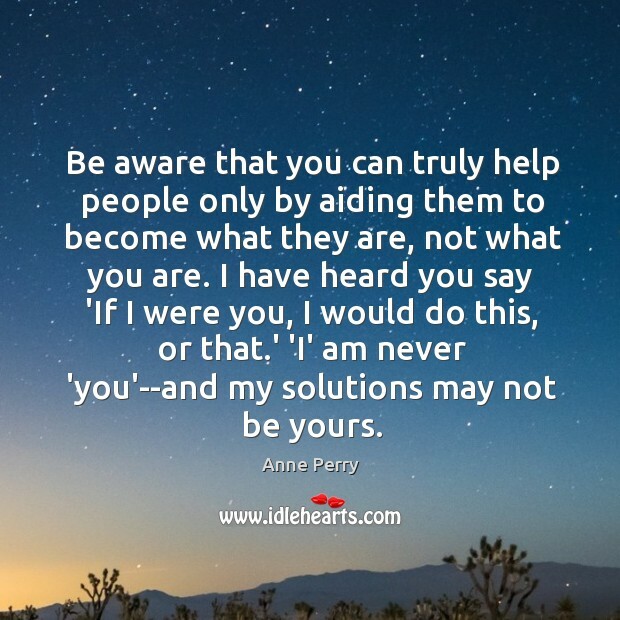 Be aware that you can truly help people only by aiding them to become what they are, not what you are. I have heard you say 'If I were you, I would do this, or that.' 'I' am never 'you'--and my solutions may not be yours.